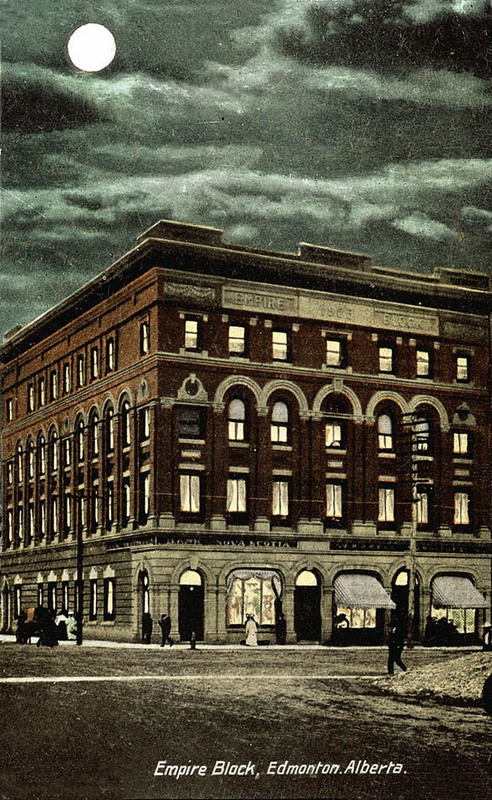 The Empire Block was constructed in 1905 by McDougall and Secord, Ltd. as an office and retail building. The upper floors were designed as offices, with the ground floor reserved for retail and banking. It had a particularly fine stone facade at streetlevel. In 1942, a fire severely damaged the building, but it was repaired. In 1962, the old Empire Building was torn down by the McDougall-Secord Company to make room for the new 11-storey Empire Building completed in 1963.